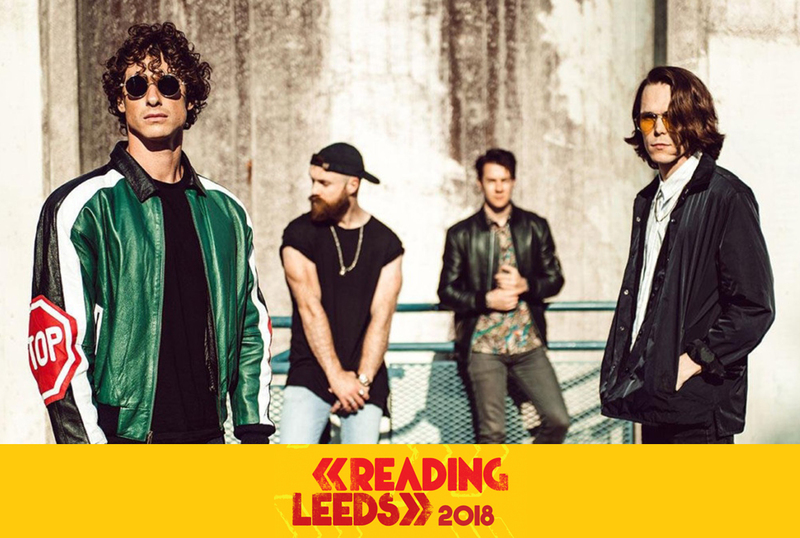 You are at:Home»Interviews»Interview – Don Broco – Reading & Leeds 2018 Preview! 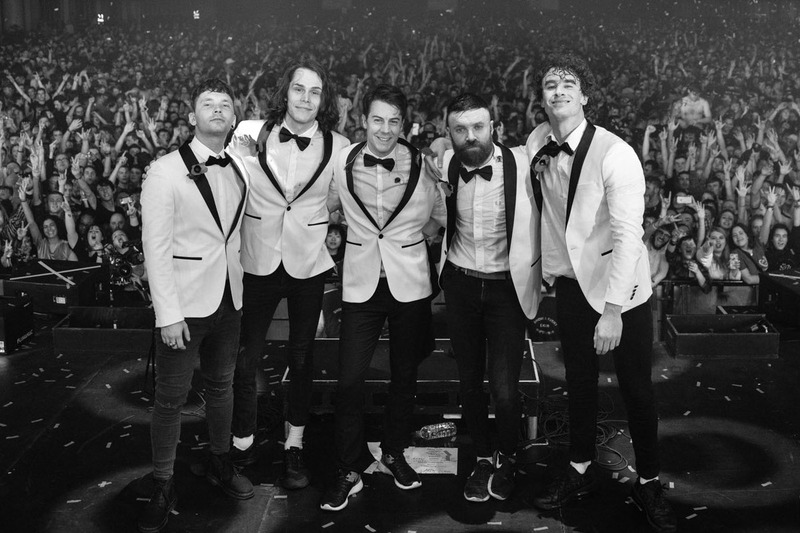 Interview – Don Broco – Reading & Leeds 2018 Preview! Hi Si, you guys have been off to a flyer this year! You released your third studio album Technology in February, followed by a run of Sold out UK headline shows, how was that to kick off the year? It was amazing! When we wrote this record it was always with the live show in mind, so getting to take it on the road to sold out audiences was an incredible feeling for us. Technology has been received incredibly well, not only in the UK but around the world. Has this been the most fun and rewarding album cycle for you guys so far? Definitely. – it’s certainly the album cycle which has taken us to new levels around the world, and enabled us to visit a ton of amazing new places as a band which is one of the things we enjoy the most. We connected with an amazing director, Benjamin Roberds from Dominar films, via a website called Radar, where directors/production companies can pitch for videos. Ben’s treatment for ‘Everybody’ blew us away. We started working together at that point and the rest is history. Now when we have a new song which needs a video, we fire it straight to Ben and he drafts a treatment for the song. We might make a few minor suggestions and refine the treatment together very slightly, but he really is the man with the plan. His ideas are so original, his humour just clicks with ours, and we know that we are always going to get something really special when we work together. You guys have just finished a run of Warped Tour! How was that? Many bands say it can be a struggle at times, did you guys find it difficult at all? You know, it wasn’t actually a struggle at all. The tour was super rewarding for us. We got to play amazing shows to great crowds everyday. The catering is a awesome, all your friends are on the tour playing as well, the weather is insane. It really is the best tour ever. How does Warped tour differ to the major UK festivals? Warped is very like Slam Dunk. That’s the closest thing we have to it. There’s main stages, a couple of metal stages, an alt stage and a new band stage. The big difference is it’s a very fluid festival, the set times are only announced on the day, so you have no idea when you’re playing till you wake up… that keeps you on your toes. We caught some highlights on your instagram and it looked like you guys had a blast! Cowboys, crowd surfing, shredding riffs in circle pits, and more, it looked like you threw your all into it! What were your highlights? The biggest highlight was our show in Atlanta. We played the main stage that day. Our friends from Dominar Films came down to hang out. We had the Throne from the Greatness video at our Merch tent, and we had The Cowboy perform Everybody on stage wit us in place of Rob, which was super cool. Everything about that day was awesome. Reading & Leeds Festival is next up on the bill for you guys, and this year it’s a big one sub headlining the NME stage! You must be pretty excited? Definitely – we have such amazing memories from Reading and Leeds over the years, we can’t wait to make some more. We hear Reading & Leeds is one festival that’s pretty close to you all, what is it about R&L that’s so special to you? It’s the fact that Reading was the festival we grew up attending. We’d go every year and see all our favourite bands play. The festival is a huge part of our lives and our development as people, to now get to play it regularly really is a dream come true. Last year you played a (not so) secret set on the Pit stage at R&L as ‘The Pretty Boys’. Was it nice to be a secret guest for a change? It can’t be easy keeping that a secret? It was awesome doing the secret set. If felt almost super low pressure… obviously the word got out so we knew it would be a crazy show. It was really fun, just rock up, play the hits, get out – boom! This year you’re back playing the NME stage. you’ve previously been on the Main, BBC Introducing, The Pit, and NME stages in the past. Which would be your favourite to play and why? The NME stage is definitely our favourite to play. We have great memories from all the stages, but there’s something about the vibe in the big tent which is hard to beat. When the tent is packed out the atmosphere in there is electric. We can’t wait to get back in there! You guys clash this year with the Courteeners on the main stage who usually pull in a big crowd. 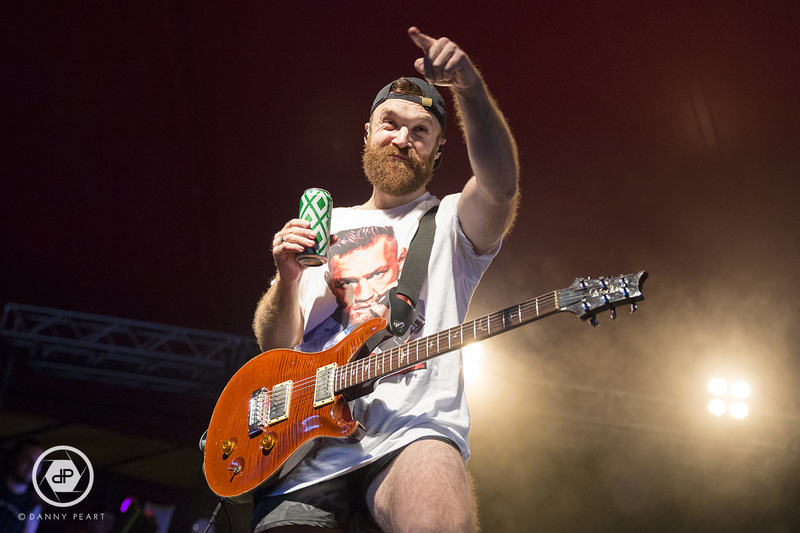 We’re pretty confident you guys will pack out the NME stage, but for those stuck in two minds, why should they not miss Don Broco? We are going all out this year, we are bringing an insane production, we are playing all the tunes people are going to want to hear from our latest, record and some classic cuts. It’s going to be our biggest, baddest, most entertaining and fun Reading and Leeds set to date. The line up at R&L is getting more diverse year by year, do you think this is a strong representation of how music has changed in recent years? Sure. I think reading has done an incredible job at diversifying and staying relevant as an alt festival in a time where there isn’t the same degree of alternative sub culture that there once was. I think music fans now generally tend to have a broader taste, and RL has evolved and caters towards that. As ever there’s some awesome bands & acts playing across the weekend, who will you be keen to catch playing? There are some great bands playing this weekend, we can’t catch all of them due to our schedule, but would love to see: Kendrick, Beartooth, N.E.R.D, Panic at the Disco, Papa Roach, Post Malone. It’s also a great chance to check out some new bands with so many stages over the weekend, which upcoming bands/acts would you recommend people check out this year? There’s a rad band playing this year from Brighton called Beach Riot, everyone should check those guys out, they’re awesome. 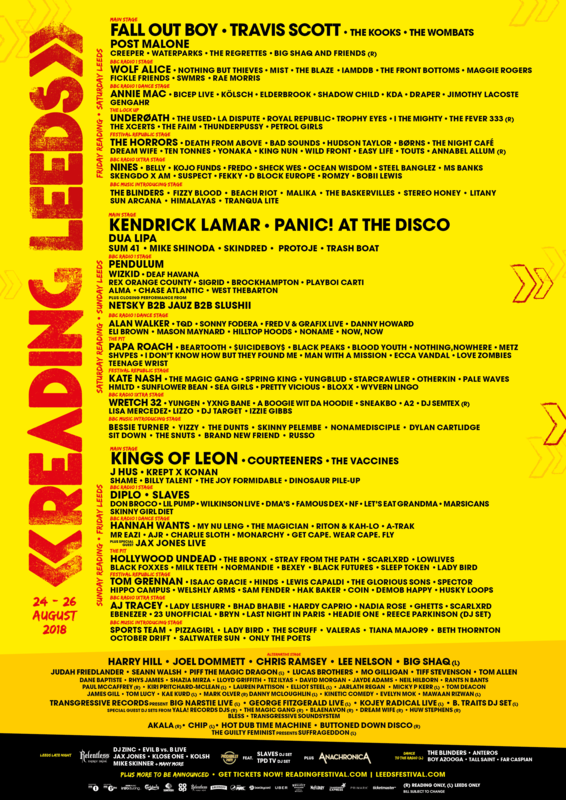 Finally, if you could pick three bands (excluding yourselves) who would be your ultimate Reading & Leeds Headliners? Deftones / Biffy / U2! 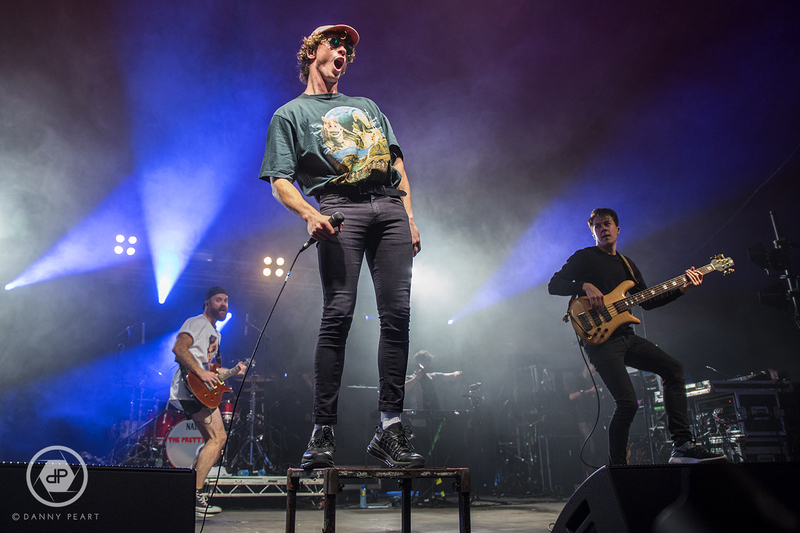 Don Broco Play the Reading and Leeds NME Stage on the 24th & 26th August, followed by a run of European shows.